Taxation – Jeremy Corbyn and his left-wing team really don’t get it, his policies have failed everywhere in the world in all times, they are a utopia dream giving total power to the unions! 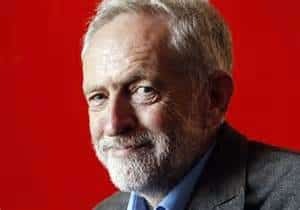 Now Jeremy Corbyn is a genuine and honest man, it is good in politics to have someone with real beliefs, yes he really believes in his left-wing philosophy and high taxes but all he really promises, without realizing it is that the relative poor will get poorer. Unless you really understand the dynamics of taxation the Jeremy Corbyn view of higher taxes for the rich, he intends a 50p tax rate to come in at £50k per year as if £50k means you are rich, sounds as if he will raise a lot more tax but in reality he won’t. When Margaret Thatcher REDUCED the inherited Labour near 100% top taxation rate to 40% she more than doubled the tax take but if Corbyn instigates his taxation policies there will be no rich people to pay it because the rich have many advantages and one is mobility, there will be no rich people here to pay it! And of course if he carries out his threat to really sting the banks how long do you think they will be domiciled in the UK, the City of London is a large part and one of the central planks to our economy, the City of London is the leading financial centre in the world but it wouldn’t occupy that status for very long under a Jeremy Corbyn administration. Re-nationalising the Railways can be made to sound great but most people can’t remember life under the old nationalised British Rail, we are only just getting on top of the poor management and under investment of those times, now record numbers of the public are using the railway, far greater numbers than at anytime in its history, yes the current system needs some tweaks but it is actually working well. Then of course paying for all his policies with substantially lower taxation making its way to the treasury, the inevitable higher borrowing costs will all lead to lower spending on essentials such as the health service, the vulnerable and let us not forget defence which in turn will lead to the poor getting poorer, much poorer and the security of the nation in jeopardy. Watch the video below by Daniel Hannan, it is interesting viewing, let me know what you think by COMMENTING BELOW the further reading section. Previous Previous post: Labour MP Alison McGovern’s breasts are ‘distracting’ to TV viewers! Next Next post: Conservative Party for YOU! – Reflections on the election polls!